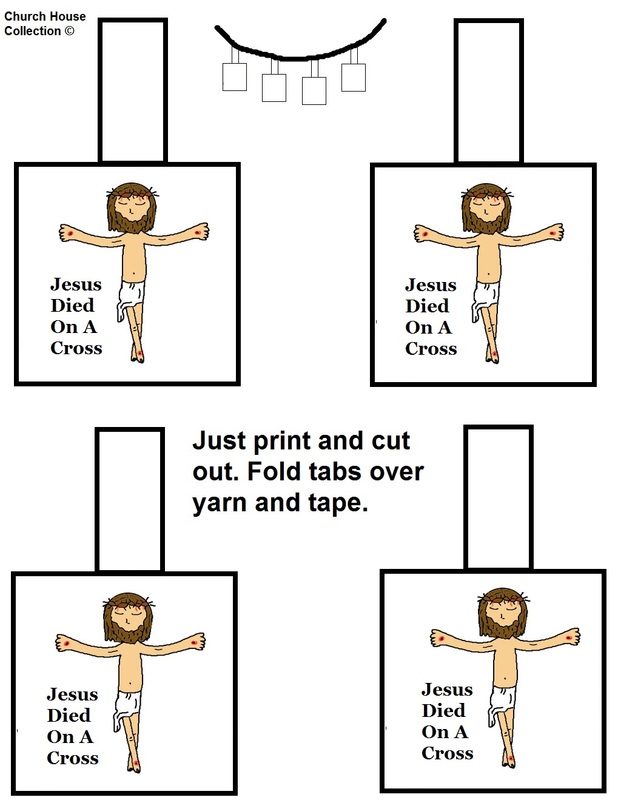 Just print the Jesus died on the cross template out. Color the pictures if you printed the black and white one. Cut all 4 pictures out. Take your yarn and cut a piece that is long enough to tie around the child's neck. 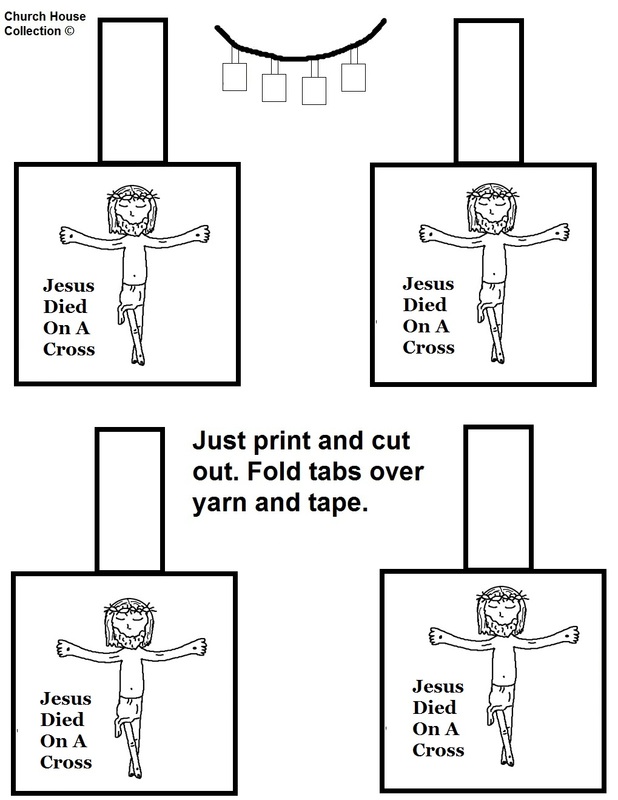 Fold the tab over the yarn and tape it in the back. 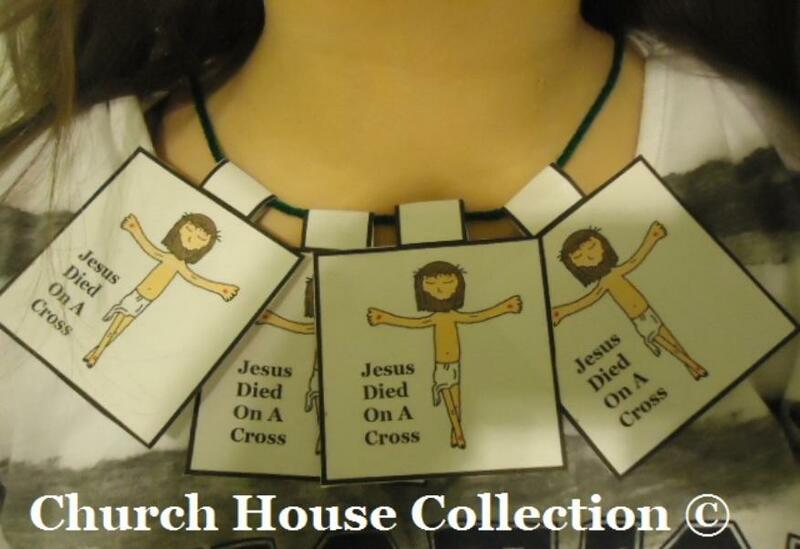 This is an easy craft for kids to do during Sunday school or Children's Church. 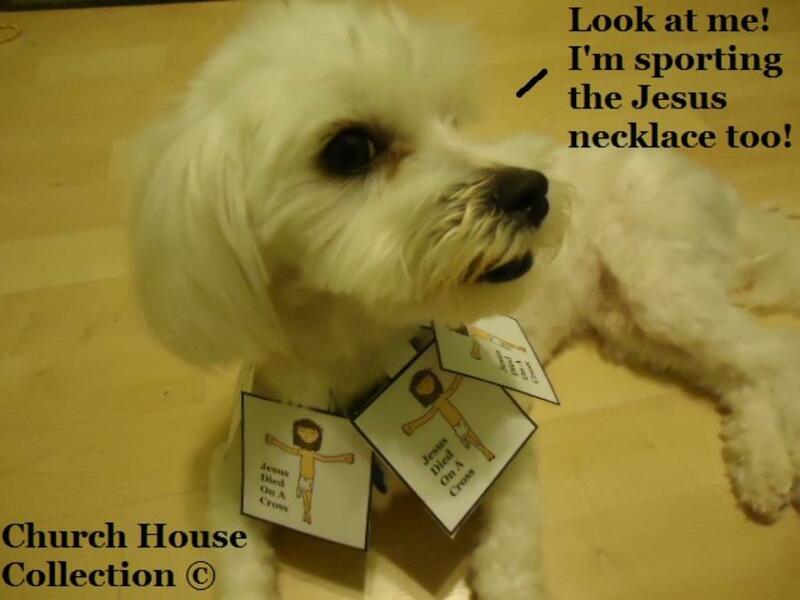 Check out our puppy sporting the Jesus necklace too! He loves Jesus too!